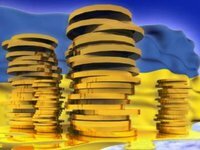 The International Monetary Fund (IMF) predicts that gross state (direct) and guaranteed debt of Ukraine would decrease to 53% of GDP by late 2023, according to a report of Fiscal monitor. In addition, the IMF predicts a growing deficit of the consolidated budget of Ukraine in the next two years. According to IMF estimates, the budget deficit this year will amount to 2.5% of GDP, in 2019 - 2.6% of GDP. It then it is expected to decline to 2.3% of GDP in 2020, to 2.2% of GDP in 2021, to 2.2% of GDP in 2022 and up to 2.1% of GDP in 2023. The IMF estimates revenue to the consolidated budget in 2018 at 40.5% of GDP while spending 43% of GDP. The forecast for 2019 implies growth in budget revenues to 40.7% of GDP and at the same time expenditures to 43.3% of GDP, in 2020 it will decline to 40.2% of GDP and 42.5% of GDP, respectively, for 2021 - to 39.8% of GDP and 42.1% of GDP, respectively, for 2022 - up to 39.6% of GDP and 41.7% of GDP, respectively, after which, in 2023, a slight increase is expected - revenues - to 39.8% of GDP, expenditures - to 41.8% of GDP.